Had to brain storm this one. Mr. Twisty from the Veggietales Jonah movie. 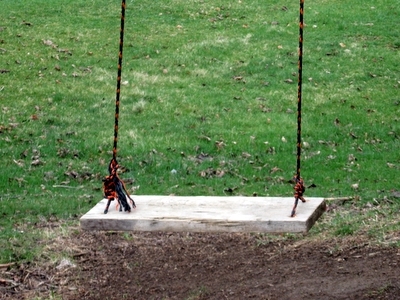 The rope on the swing (because I am rotten at knots). 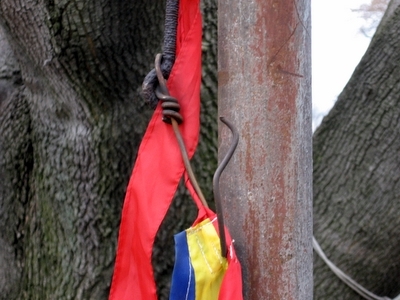 The wire on the old flag pole where the kids hung a kite. Hmmm. Now you’ve got ME wondering why your daffodils are twisting lol! That is strange. 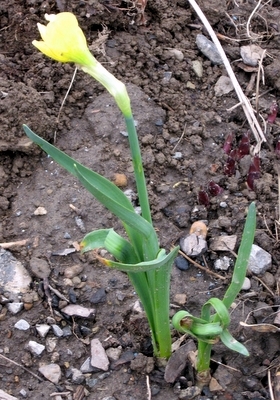 I wonder why the daffodils twist like that? It’s like it’s fighting itself. 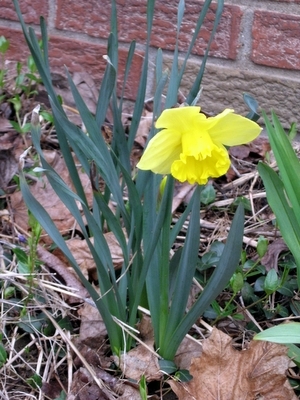 The Daffodils are probably twisting toward the sunlight. As much as I adore Daffodils, the old twisted rusty wire with the kids’ kite gets my vote! As you’ve probably noticed, I’m no longer on my .com or WordPress. While I miss the clean look of the WP themes, I don’t miss WP stress. After all, I blog to de-stress! Maybe I’ll find a clean blogger theme someday! Haha!! Those are all great for the theme and I love the shot of the swing. Very beautiful. Hope you have a happy weekend. I like the swing and the kite. Great collection of “twisted” pictures! Thanks so much for dropping by my front porch view of twisted. Happy Saturday. Lovely daffodils, but like Wine above, I love the rusted wire! Nice takes on this week’s theme. Even if they twist Daffs are always a wonderful sight! you have some great shots and some cool ideas! Great picture choice for this weeks theme. Well done. All good choices, Heather. Those twisted daffodils certainly are different. Hope you have a great weekend. Sorry, I hit Mr Linky twice it seems! These are all good choices after all Heather. Not so easy was it? Have a great weekend. Nice picks for this week! Love the shot of the swing. That is so interesting about your daffodils! anyway! live in this household = never a dull moment. thanks for your greeting. LOL–Monty Python. Now how would you photograph that one?! Lol.